DOG & PUPPY POTTY TRAINING MADE EASY! and avoid messy accidents and property damage related to potty accidents from pets of any age. Gotta Potty. The most effective way to potty train your dog or puppy. Receive a coupon code for $10 off & access to our tips page by filling out this form! 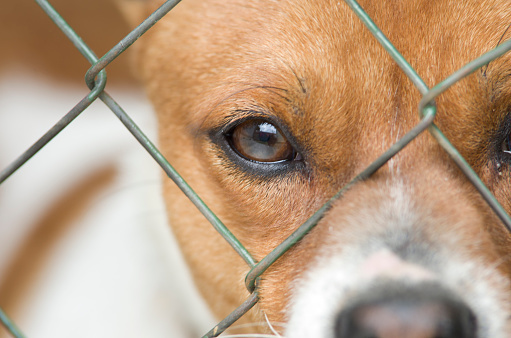 We want to single-handedly reduce the number of good dogs that end up in shelters. How can we do that you ask? 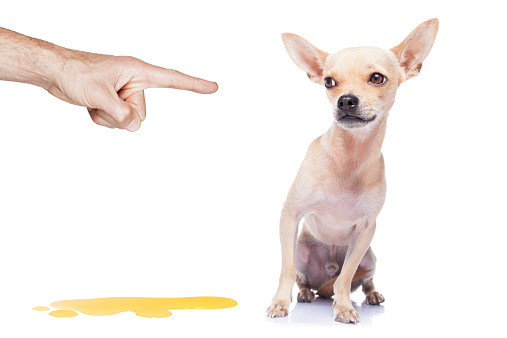 One of the most common reasons dogs end up in shelters is potty-training issues. New owners quickly get frustrated with cleaning up messes and the property damage that comes with a dog that isn’t properly potty-trained. Typically, a dog that is not potty-trained has not had an owner that understands what is required to change the behavior. 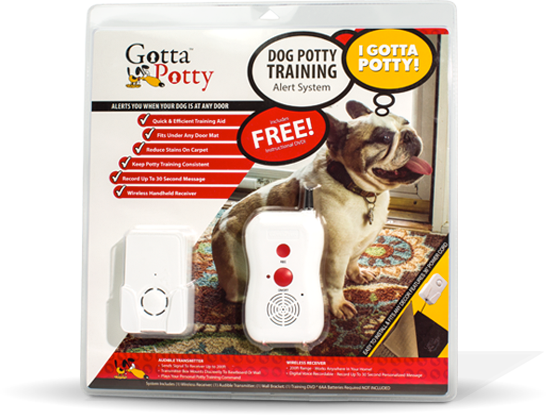 The Gotta PottyTM system helps train owners to listen to their pets body language and to reduce the time it takes to properly potty train their dog. By alerting owners to cues that are sometimes overlooked or not observed, the Gotta Potty mat gives owners a helping hand in the necessity of potty-training their dog. The premise is simple. 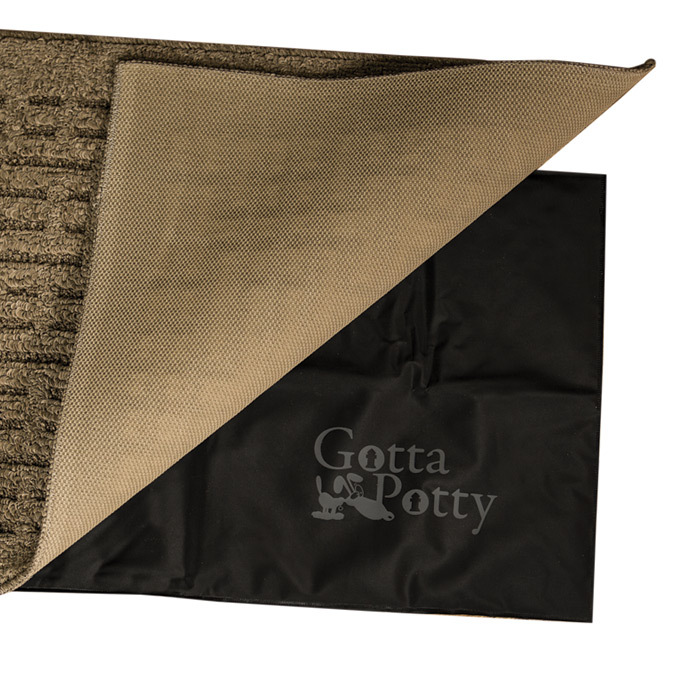 The Gotta Potty mat is a pressure-activated mat that you place in front of the door discretely under your existing rug or other area that the dog might be having “accidents”. The mat features a wireless transmitter that is voice-recordable that reinforces the proper command to the dog when it cues. For instance, the dog walks over and stands in front of the door to be let out, but the owner is nowhere in sight. 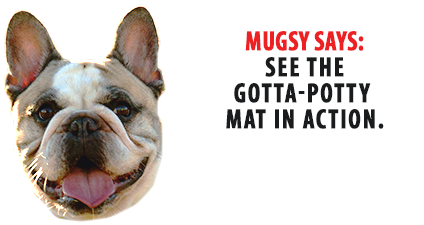 With the Gotta Potty mat, when the dog cues like this, the mat delivers an audible recorded message to the dog in YOUR OWN VOICE that it will begin to equate with going outside (consistency is a key to success). 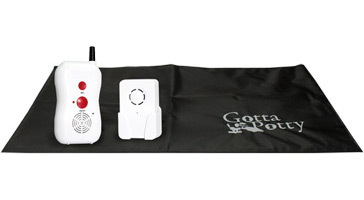 The mat transmits a separate, recordable message to the hand-held receiver to alert you that your dog is signaling to be let out. The dog hears “Gotta go outside?” (or what ever your want your command to be) in the owners voice and the owner hears “Rex is at the front door, hurry and let him out!”. Because let’s face it, if the dog cues and you don’t see it, he’s not gonna wait for ever. When you gotta go, you gotta go! The Gotta Potty system reinforces consistency, which is critical to effective dog training – Your dog hears your same recorded command every time the alarm is activated. The wireless transmitter allows you to be anywhere in your house and still get the notification alert! The Gotta Potty system is self contained and can easily be moved to areas of concern or travel with you. The Gotta Potty pressure activated mat conceals under any door mat or rug so it becomes virtually invisible and matches any decor! 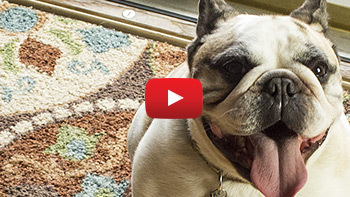 Both the command the dog hears and the alert you hear are voice recordable. Plus, the system can be paired with an additional mat (sold separately) in order to cover two locations at once! The system includes the mat, transmitter and wireless receiver that is effective up to 200 feet away. This allows owners to be alerted from anywhere in or around their home or current location as the system is quite portable. Also included are detailed instructions plus a FREE instructional DVD on how to best use your new Gotta Potty system.